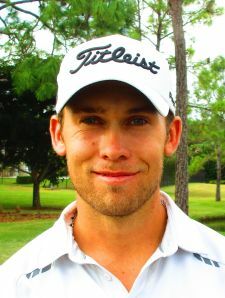 LAKE WORTH, Fla. – Bryden Macpherson of Melbourne, Australia, captured his second straight victory on the Minor League Golf Tour with an eight under par 63 Wednesday at Atlantic National Golf Club. Starting on the tenth hole, Macpherson, 28, went out in 4-under par 31 and added 2 more birdies and an eagle on the second nine for 63 and a two-stroke victory. On Monday, he birdied the last two holes on the Palmer course at PGA National to win by one. He collected $600 from the $2,440 purse plus $150 from an optional bonus pool and $75 from the skins game for a total of $825. He received $800 Monday. Macpherson has won seven events and earned $16,185 since joining the MLGT in November, 2016. Making just his third MLGT start, Tyler Collet of Cross Lakes, WV, was second with 65 on seven birdies and a bogey, pocketing $475. There were 20 starters in the MLGT’s 66th and final event before taking its annual summer break. 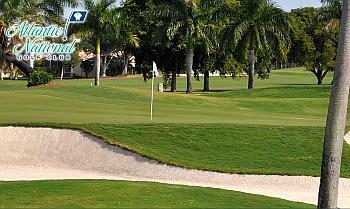 Play resumes July 16 at Eagle Trace in Coral Springs. The Stuart-based mini-tour has conducted 1,616 tournaments since beginning in August, 2004.